What’s your favorite holiday? I still really enjoy Christmas, especially now that grandchildren are in the mix. We have traditions that we hold to every year, some that are sentimental, some that are just silly…some that are both, like Janelle and I and our annual light-hanging on my house. I don’t think I laugh all year as much as I do on that day. Have you ever had something go strange during a holiday celebration? Something that made the whole thing feel awkward? For the people of Israel, the Passover Meal was and is the central celebration of the Jewish faith. It is a special meal, with special food and special prayers – all of it rich with meaning about the national heritage and covenant they enjoyed with God. In our text this Sunday we’ll be reading Matthew 26:17-30, where Jesus and his disciples share the Passover Celebration together. Jesus, however, veers from the normal traditions and reshapes the celebration to reveal something amazing about his mission! The Passover meal was instituted during the exodus of the Jewish people from Egypt where they had lived as slaves. It commemorated their deliverance from slavery, as well as their protection from judgement, as the angel of death passed over the houses where the blood of the Passover lamb was sprinkled. The exodus of Israel revealed the distinction between the systems of this world (Egypt) and God’s Kingdom. Israel enjoyed a unique relationship with God – a covenant – and those are the things the Passover celebrated. 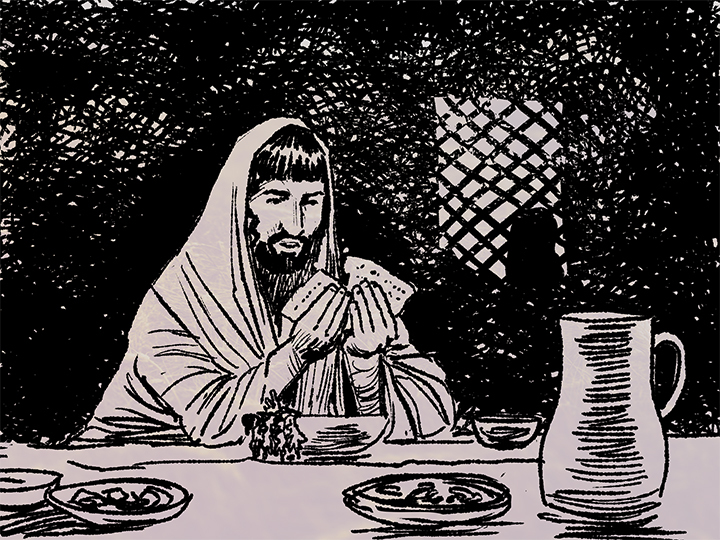 Jesus chose Passover as the timing of his sacrificial death. What does that tell us about the nature of Jesus’ messianic mission? What is it recreating. What are the parallels, on a worldwide scale, between the first exodus and Jesus’ mission. Why do you think Jesus cryptically states that one of their own will betray him? Why do you think he didn’t just point him out and condemn him on the spot? If Christ’s body and his blood, given sacrificially on the cross, is the basis of our unique relationship with God (a new covenant, in Jesus’ words) – what will that relationship look like in light of its basis? If I were clever, I would have timed this teaching for next week when we celebrate communion…but hopefully we’ll remember what we learn and absorb it, not just for a week from now, but for life.